Another Grand Slam, another rules row for Dominika Cibulkova in a victory over Hsieh Su-Wei. The Slovakian blasted US Open officials after she was docked two points for returning late from a 10-minute heat break before the third set of her 7-6 (7/3), 4-6, 6-4 victory over the Taiwanese player. "She told me I was one minute late. I'm getting two points' penalty. You cannot be serious," Cibulkova said. She noted that unlike players on the massive Ashe and Armstrong stadium courts, those toiling on more distant courts must trek through the crowds to reach air conditioned sanctuary for the breaks. The 10 minute breaks are alotted in men's and women's matches that go beyond straight sets under the tournament's extreme heat policy that was in force Thursday for a third straight day. "It took me, I think, more than three minutes walking through the people, because there were so many fans and so many people," said Cibulkova, who played on court 17 -- the fourth show court. She had no time for the cold shower or ice bath that other players have used to cool down. After changing her clothes and making her way back to the court to start the third set, Cibulkova was stunned to be told by the umpire "it's going to be Love-30". "I couldn't believe it," she said. "Is it my fault it takes so long to get from where you send me to go to change to the court? I think it's just not right." 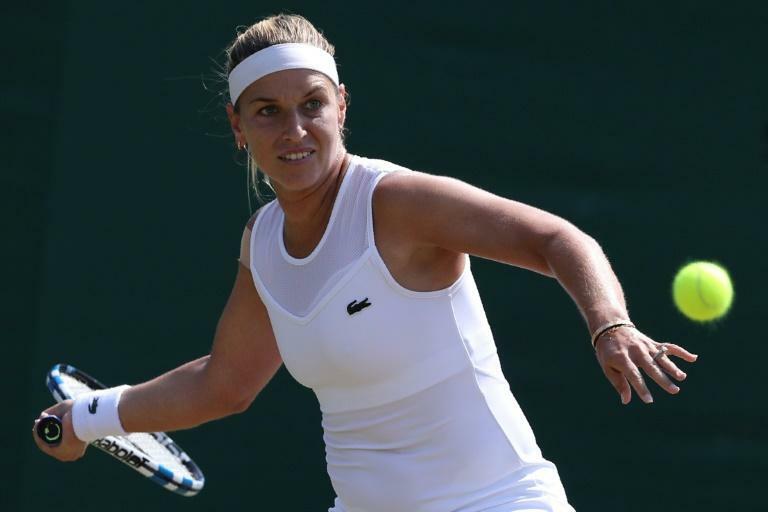 At Wimbledon, Cibulkova lambasted officials over a controversial line call in her 6-4, 6-1 fourth-round rout of Hsieh. Cibulkova called it "ridiculous" that the Hsieh successfully persuaded the umpire to replay a point that was initially called in the Slovakian's favor and would have given her three set points in the opening set. That dispute saw the match bogged down more than seven minutes, with a supervisor called to the court to weigh in. On Thursday, Cibulkova soldiered on to finish out what she called "one of the top three toughest matches in my career". "With the conditions and the way we played -- I think the level of tennis we played was really high -- it gives you a lot of confidence because you didn't give up," said Cibulkova, who booked a meeting with Wimbledon champion Angelique Kerber for a fourth round berth.